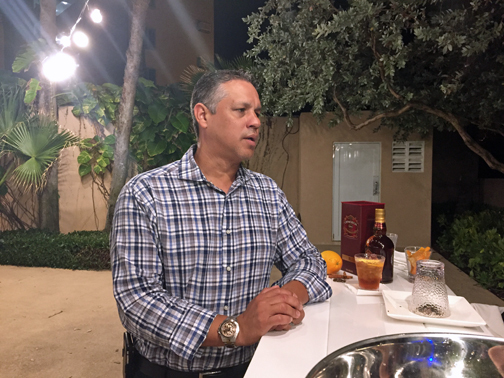 Joaquín Cruz, director of marketing for the San Juan Marriott Resort and Stellaris Casino in Condado. The recent sale of the San Juan Marriott Resort and Stellaris Casino in Condado to Chinese investors XLD Group is a “positive step for the property and for Puerto Rico as a destination,” Joaquín Cruz, director of marketing for the iconic property told this media outlet exclusively. “They’re coming to Puerto Rico with plans to make a substantial investment in the property, aside from the amount paid,” said Cruz, referring to the approximate $184 million the group invested in the 527-room beachfront property. This media outlet first reported this story last week, when Chicago-based Jones Lang LaSalle Inc. — known as JLL — helped arrange the deal between the new owners and sellers Rockwood Capital and San Juan-based Interlink Group. The sale comes four years after Rockwood Capital and Interlink Group purchased the hotel for $130 million. Two years ago, the operators invested $15 million to renovate the hotel, but demand has “been high,” so more upgrades are in order, Cruz said. “We have a 90 percent occupancy annually, so we have a lot of visitor traffic in all areas, so for us, this is very positive,” Cruz said, adding the hotel will be repainted during the months of June and July at a cost of $250,000. XLD Group was founded in 1997 and is the 12th in the top 100 real estate companies in Sichuan Province, 4th among all enterprises in Mianyang City, and places in the top 30 in Sichuan Province ranked by assets, according to its website. “This transaction is good for Puerto Rico because it shows that there are investors looking at us, despite the government’s fiscal situation,” he said. The company already owns two other Marriott properties — the LAX Marriott and the Torrance Marriott Redondo Beach in California. The San Juan property is expected to continue flying the Marriott flag. Although the sale represents the exit of local firm Interlink Group, Cruz said the business relationship with them continues through joint projects between Marriott and the recently opened AC Hotel, which is part of the brand. “We already have a few initiatives to work together, and that’s positive because we already have a working relationship and will continue that,” the executive said. He also predicted that the arrival of XLD Group could represent a greater influx of Chinese tourists, which could further expose Puerto Rico to that market. “The Chinese market is super aggressive and is traveling the world. We could definitely fully enter that market,” he said, noting that an attractive point for that segment is the hotel’s casino, which typically enjoys gambling. Over the weekend, the Marriott Resort and Stellaris Casino officially introduced its new Executive Chef, Dante Filosi, who will also head the property’s food and beverage division. Originally from Uruguay, Filosi has more than 20 years of experience in the restaurant and hotel industries, including tenures at Marriott properties in Brazil and Colombia. Hey Buddy!, I found this information for you: "Sale of Marriott to XLD Group ‘positive for hotel, PR’". Here is the website link: https://newsismybusiness.com/marriott-group-positive/. Thank you.